CCA DMBA Course Project | Organizational Strategy | Jan - May 2017 | Research. Strategy. Design. 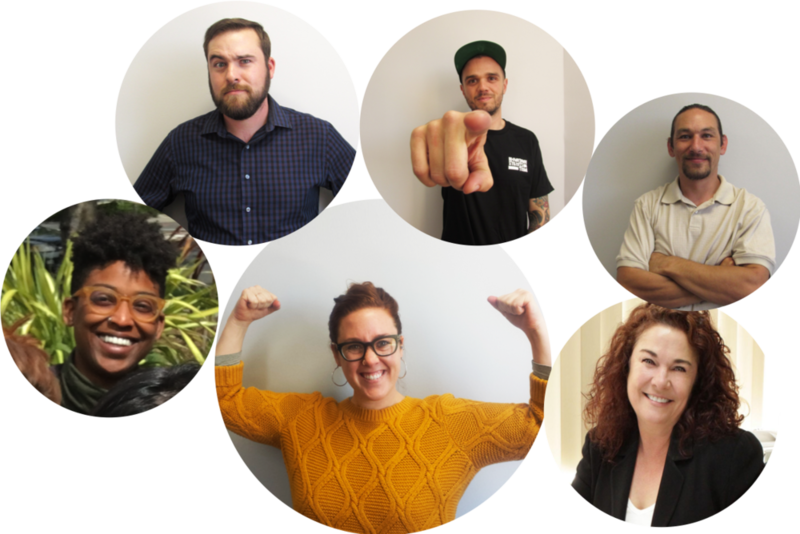 KARTMA Street Cafe is a social enterprise developed by Downtown Streets Team that employs individuals transitioning out of homelessness. 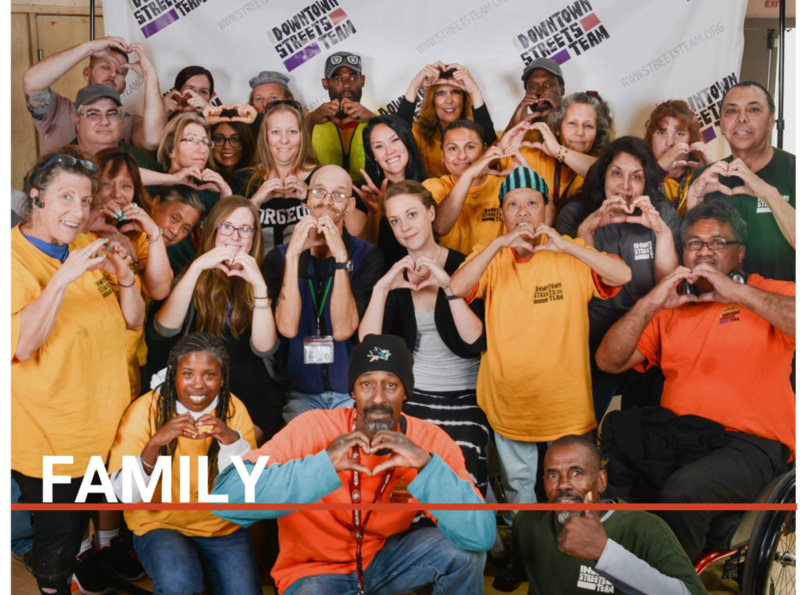 Downtown Streets Team empowers people to take an active role in rebuilding their lives by volunteering on teams and working collaboratively on beautification projects. 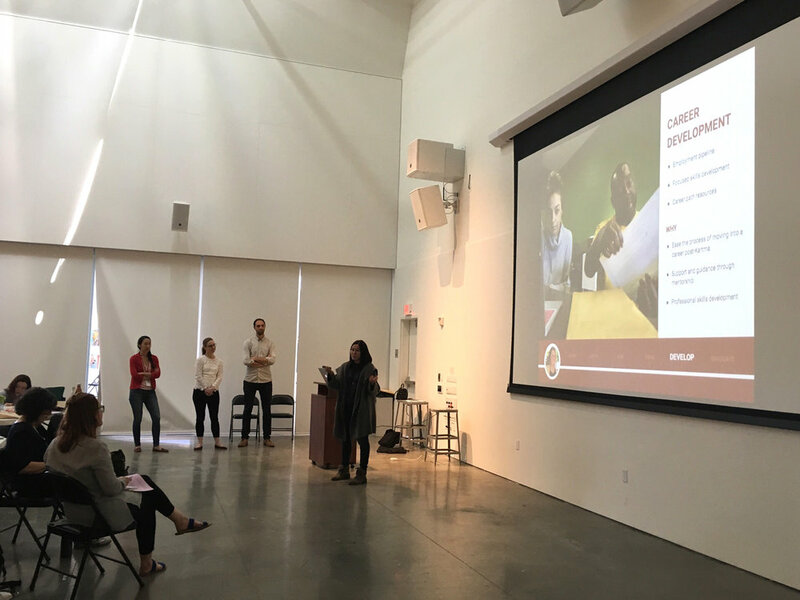 Once Team Members graduate from the program, they can apply to work at KARTMA, which is a next step to building marketable skills for long-term success. 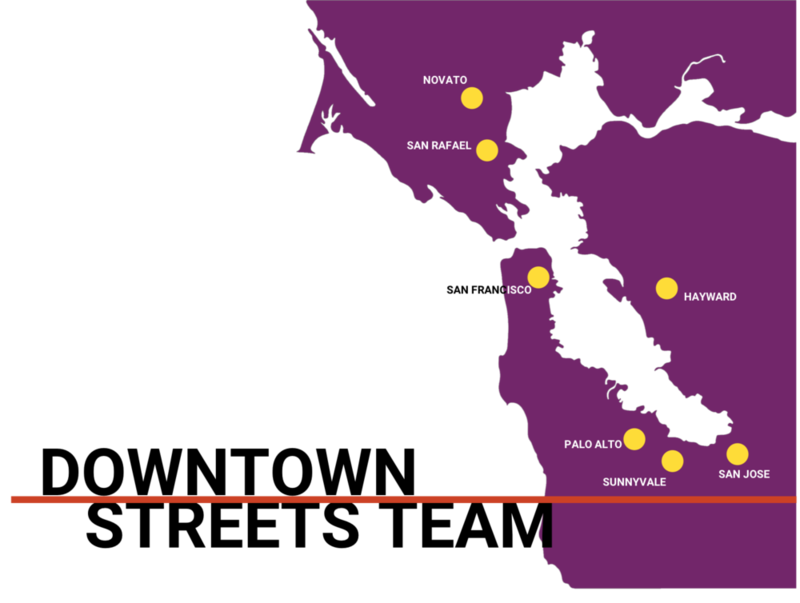 KARTMA was preparing to expand from their Sunnyvale location into other locations in the Bay Area. It is important for KARTMA employees to feel supported in reaching their goals of future employment and success. An effective and lasting cultural intervention such as developing a KARTMA Employee Journey may start with our recommendations but ultimately has to be run by the existing community. My team provided suggestions (the how) and intentions (the why) behind each considered touch point, so we may hand it over to KARTMA for implementation and execution (the what). Along with a Starter Kit, we wanted to provide KARTMA with an engaging and actionable package to build a lasting, healthy culture based on the positive core of DST around family, celebration, and intrinsic motivation, so it might enhance KARTMA employees’ career pathway and lead to operational success. 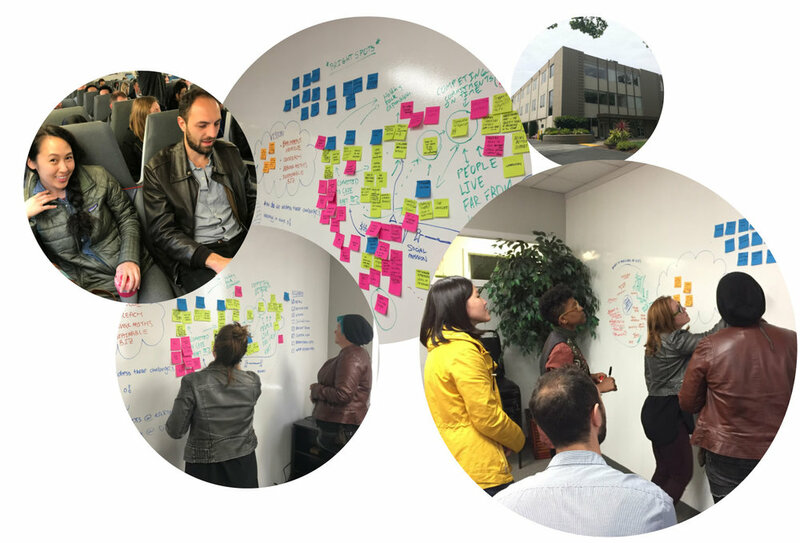 Our team used an Appreciative Inquiry approach, which engages stakeholders in co-creating their preferred future based on the positive elements of the organization’s past and present. Traditional problem solving represents a deficit-approach to change while Appreciative Inquiry focuses on drawing out the positive core and potential of organizations so people can grow towards a shared goal. It also allows us to design organizational practices and management processes that align with KARTMA’s mission. Our research process consisted of a series of stakeholder interviews, onsite observations, and a co-creation session with multiple stakeholders, punctuated by several team meetings in which we synthesized findings and compared notes. Identify the positive core of Downtown Streets Team to leverage as the foundation on which KARTMA’s culture would be built. Gain insight into the shared goals, strengths, challenges, and organizational needs of KARTMA and its employees. Uncover bright spots, areas of opportunity, and possible solutions by co-creating a preferred future with our stakeholders. We conducted interviews with several key stakeholders to understand the current organizational structure, culture and operations of DST and KARTMA. Each interview helped us dive deeper and gather information to inform the rest of our design process. We attended a DST team meeting to deepen our understanding of what elements contributed to the unique culture. We visited the KARTMA branch in Sunnyvale to interview the employees, getting a better understanding of the team’s dynamics, challenges, and needs. From attending a DST Team Meeting in-person, we were able to witness the culture and how paramount it is to DST’s success. DST Team Members are required to attend the weekly meetings, where they participate in ceremonies and openly express gratitude, praise, and feelings that work to build a culture of hope, pride, and positivity. This helps develop dignity, inspire motivation, and uphold the energy team members have for their work and one another. Participating in DST serves not only the functional need of helping people find employment and housing, it also greatly satisfies the intangible needs of feeling seen, valued and a part of a supportive, loving family. build on what KARTMA staff are already doing to create a culture they love. Moreover, we surfaced opportunities to improve operational success through the co-creation session with key staff. All KARTMA employees graduate from DST before joining KARTMA and are familiar with DST’s culture. For an employee going through recruiting, hiring, and onboarding, it is critical these experiences make the transition from DST into the KARTMA family as smooth as possible makes it feel like a continuation of the DST culture. 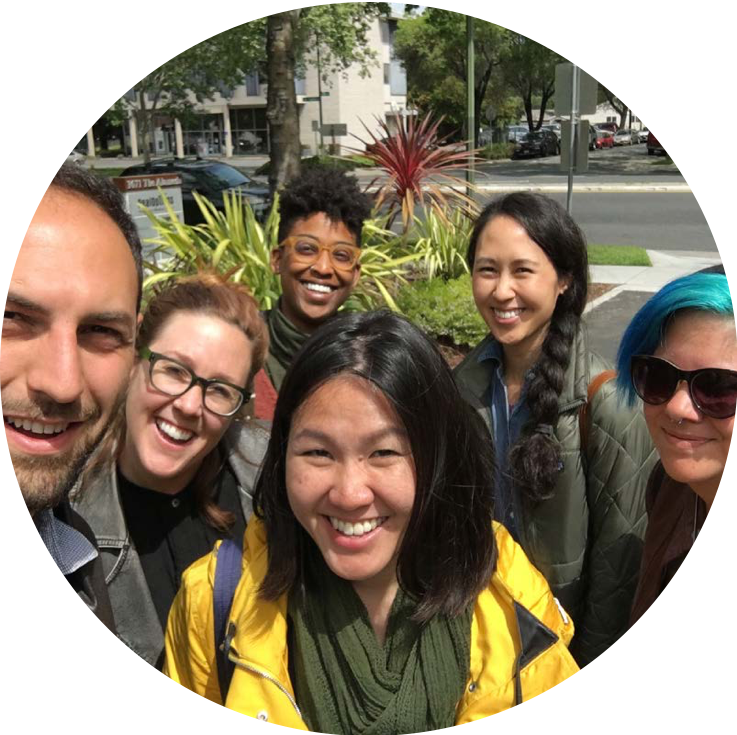 From the moment a DST team member first hears about KARTMA to the day they graduate, they participate in a journey that consists of multiple touch points, or opportunities where employees engage with the organization, one another, and their work. We outline a series of recommended touchpoints, grouped according to various stages along the Employee Journey that could be implemented into the existing timeline. An effective and lasting cultural intervention such as developing a KARTMA Employee Journey may start with our recommendations, but ultimately has to be run by the existing community. We’ve provided suggestions (the how) and intentions (the why) behind each considered touch point, so we may hand it over to KARTMA for implementation and execution (the what). Along with The Starter Kit, we want to provide KARTMA with an engaging and actionable package to build a lasting, healthy culture based on the positive core of DST around family, celebration and intrinsic motivation, so it might enhance KARTMA employees’ career pathway and lead to operational success.